In the inaugural Ultimate NHL Playoff, the ’88-’89 Calgary Flames were the runners up. 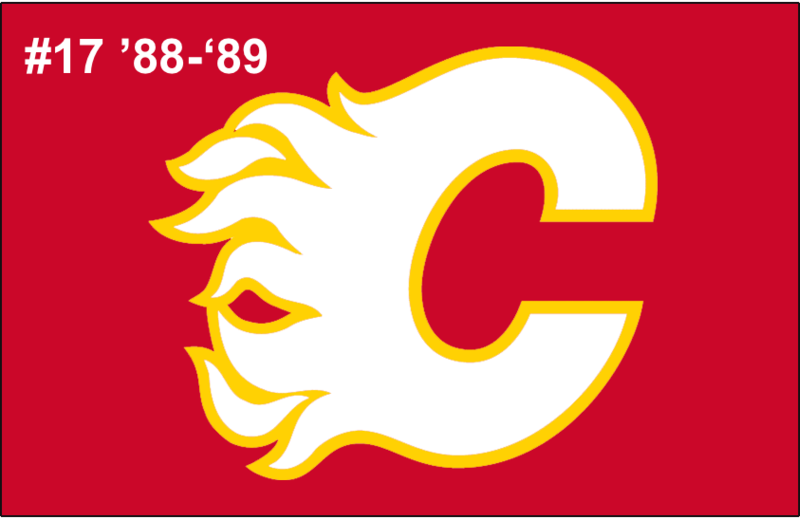 In the Second Annual UNP, the ’88-’89 Flames only won one series before being eliminated. This Flames team finished the regular season with a 54-17-9 record, good for 117 points and 1st in the Smythe Division. It was the franchise’s second consecutive President’s Trophy under head coach Terry Crisp, who played for four NHL teams during his playing career. Calgary was ranked second in the league offensively, averaging 4.43 goals per game. Meanwhile, they were also ranked second defensively as they allowed only 2.83 goals per game. According to Hockey Reference, Calgary had 12th-ranked strength of schedule, out of 21 teams, and their SRS listed Calgary as the best team in the league that year. That SRS of 1.57 is by far the best in Flames history for a season. The Flames just barely squeaked through the Division Semi-Finals over the Vancouver Canucks in seven games, but after that they won 12 of their next 15 games to win their franchise’s first Stanley Cup. They swept the Los Angeles Kings in the Division Finals. Then, they defeated the Chicago Blackhawks in five games in the Conference Finals and lastly, defeated the Montreal Canadiens in six games in the Stanley Cup Final. This team was loaded with talent and offensively they were led by Joe Mullen, who totaled 110 points, which was 25 more than their next highest scorer. That happened to be both Doug Gilmour and Hakan Loob who both finished with 85 points. Mullen was tied with Joe Nieuwendyk for the team’s lead in goals with 51 each while Loob was second with just 27 goals. Of course, Mullen was also tied with the team lead in apples at 59 with Gilmour while Loob and defenseman Al MacInnis were tied for second with 58. Calgary had some real tough customer’s on their team and it was Tim Hunter that led them in penalties in minutes with 375. Gary Roberts was a distant second with 250 penalties in minutes. Goaltending was not Calgary’s strong point, but with the offense they had it didn’t need to be. Mike Vernon was their #1 and he posted a 37-6-5 record to go along with a 2.65 goals against average and a .897 save percentage. Both Vernon’s GAA and SV% did improve during their Cup run in the playoffs though. The highest Point Share for Calgary belonged to MacInnis at 11.1, but Mullen was a very close second at 11.0. Oh and just a heads up, when simulating games, I can only chose the starting lineups and the starting goalies for each team. I went with what I found to be the teams top lines. So, therefore that is why Lanny McDonald did not even make an “appearance” in this tournament. Up next are the 16th-seeded ’02-’03 Dallas Stars! This entry was posted in Offseason, Ultimate NHL Playoff and tagged Al MacInnis, Brad McCrimmon, Brian MacLellan, Calgary Flames, Dana Murzyn, Doug Gilmour, Gary Roberts, Gary Suter, Hakan Loob, Jamie Macoun, Jim Peplinski, Jiri Hrdina, Joe Mullen, Joe Nieuwendyk, Joel Otto, Lanny McDonald, Mike Vernon, Offseason, Perry Berezan, Rob Ramage, Stu Grimson, Terry Crisp, Theoren Fleury, Tim Hunter, Ultimate NHL Playoff. Bookmark the permalink.